So you are ready to buy a domain! You've saved up your $10 or so, and you want to make the step from obscure subdomain to your own .com. This video will show you how to use GoDaddy.com, the most popular domain registrar, to configure your domain. It is daunting at first, and somewhat technical, but just run through the motions and you'll commit it to memory. Enjoy the video, sorry I haven't been making them as of late, the busy time of the year is over. Please follow my blog as it raises my hopes that people like/respect the work I'm putting in to making Google Sites a more pleasant experience. Thanks to my current followers (all 9 of them) they're awesome! I appreciate your tips. 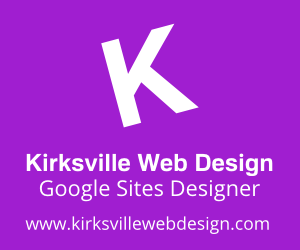 I've found them very useful in making my Google site look more professional! I am in the process of making a portfolio on it. I am wondering how to change the address that appears in the address bar. I want people to be able to go to mysite.com/aboutme for instance, instead of sites.google.com/a/mysite.com/about-me. How would I do that? Once you have purchased a domain (web address), then you only have to follow the instructions of the video (assuming you are using Godaddy.com).